Aurora del Val speaks at a rally in Salem. Photo by Blue Ackerman. Crag is excited to welcome Aurora del Val to our board of directors. Aurora lives in Cascade Locks, Oregon where she is a life and garden coach as the owner of Althea Coaching. She is also the newly elected President of Hood River’s Rockford Grange. “I love getting dirt under my nails, nurturing the growth of people and plants,” says Aurora. Certified both as a CTI Co-Active Professional Coach and as an Oregon State University Extension Metro Master Gardener, Aurora serves as a community educator and volunteer dedicated to sustainable gardening practices. “We are thrilled to have Aurora on Crag’s board! I believe her experience in community outreach and fundraising, passion for sustainable land use, and enthusiasm for Crag’s important work will make us an even stronger board and organization,” says Crag board chair, Serin Bussell. Before focusing on coaching and community advocacy work, Aurora taught English and was Department Chair at Portland Community College’s Southeast Campus. She holds both a B.A. and M.A. in English from San Francisco State University. Aurora was the Campaign Director for Local Water Alliance (the alliance), a bipartisan community group made up of Hood River County residents working to protect their local water supply from bottled water operations. 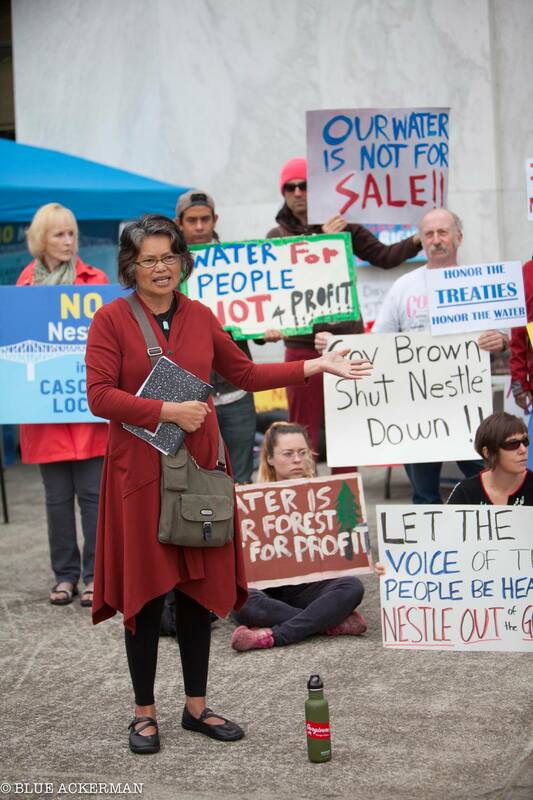 Crag represented the alliance to get the Hood River County Water Protection measure (14-55) certified for the May 2016 ballot, and the initiative passed with 68% of residents voting “yes” to keep Nestlé—which planned to build a bottled water facility using public water—out of Cascade Locks. As President of the Rockford Grange, she works with local farmers and community members to promote sustainable farming practices, build community resilience, and increase awareness of issues affecting the agricultural community, such as immigration reform, pesticide use, and water security. In addition to her passion for gardening, Aurora enjoys writing, hiking, dancing, and sailing with her husband and dog in the Columbia River Gorge.